Clear communications can mean the difference between success and failure to today’s warfighters. 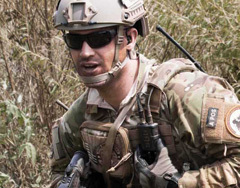 INVISIO has been at the forefront of providing bone conducing tactical headsets that can cut through the cacophony of the battlefield, and at the same time provide critical hearing protection to dismounted soldiers. Their latest offering, the V60, is the world’s smallest control unit. The control unit measures 70 x 63 x 25 mm and weighs a mere 145 grams, about half the size and weight of any similar units on the market. The light weight, yet highly durable unit, can connect to headsets, radios, any comm gear the operator is carrying. It is designed so soldiers can hear only what they need to hear, and can be used to listen or talk on any four comm sources simultaneously. Built to take it under a variety of conditions, the V60 is submersible to 20 meters, even with unmated plugs – it is so light it even floats! The INVISIO V60 has been tested extensively to meet MILstandards and has total EMC shielding from the metalised housing and connectors. 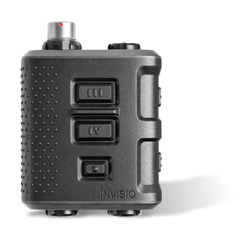 The INVISIO V60 uses breakaway connectors to improve safety, especially for the dismounting soldier or in case of entanglement. The V60 is a complete interfacing solution designed to be configured to meet different operational requirements through preset key combinations, enabling users to set up the system as required for their mission. It is easy to use, and requires no additional training. Simply connect either a radio, intercom system, mobile phone, computer, remote PTT or power supply to any of INVISIO V60 com ports and the system will automatically sense it and change the settings. Once the system is turned on, the communications and hear-thru are fully functional and there is no need for any calibration of the system (it even works without the foam plugs on). INVISIO has been providing the V60 and other communications gear to the US Army through a multi-phase, multi-million dollar order under PEO Soldier’s Tactical Communication and Protective System (TCAPS) programme.